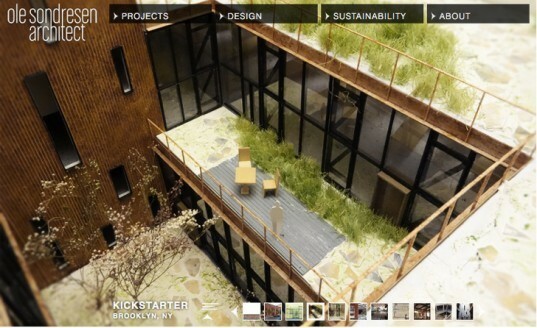 Kickstarter projects help the world become a better place through thoughtful design, and it looks like their new headquarters will follow that philosophy as well. Located in Greenpoint, Brooklyn, the currently under-construction offices will sit inside a former pencil factory and boast a beautiful green roof and airy courtyard made of recycled materials. Read on to see photos of the idyllic design as well as construction pics we snapped of the progress so far.